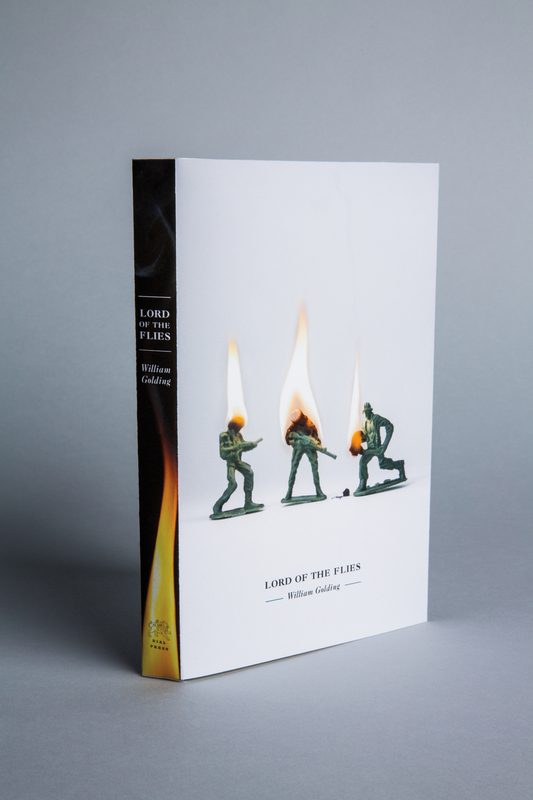 The concept behind this classic novel redesign revolves around the theme of loss of innocence. Using toys, shown both lit and extinguished, is symbolic of what happens to the boys’ innocence on the island in the story. 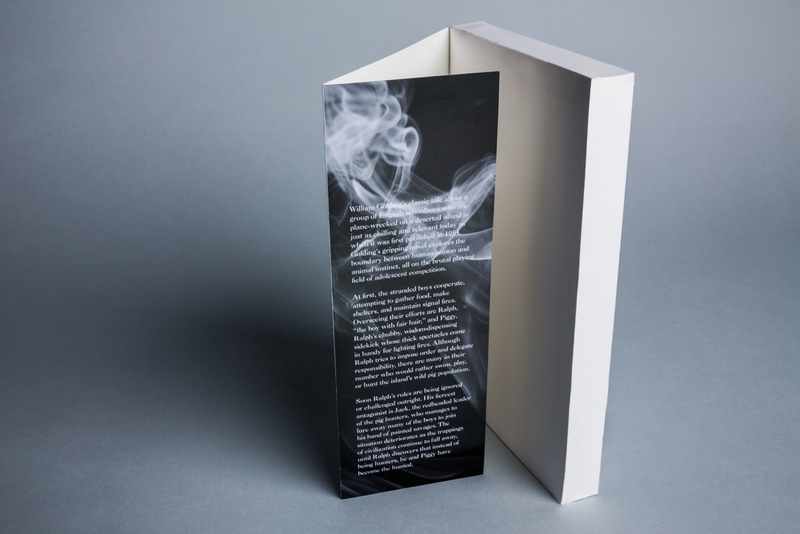 Fire has a significant role in the story as well, which shows up on the black spine of the book to contrast the stark gray used on the front and back.